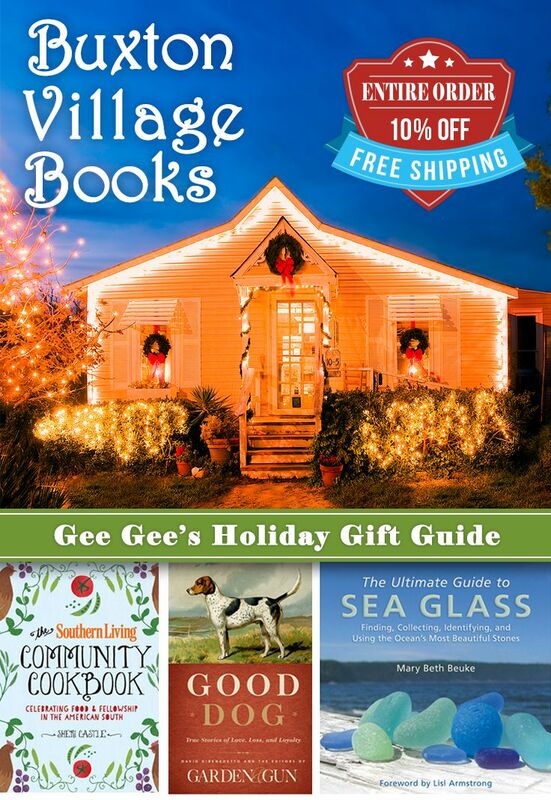 Shop Hatteras with Buxton Village Books! 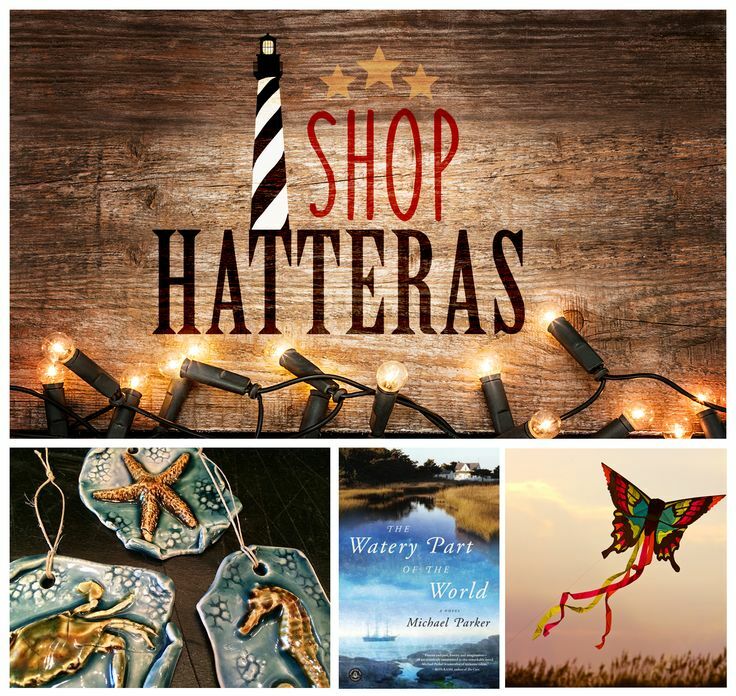 Shop Hatteras Offer: 10% OFF and FREE shipping until December 19 when you mention Shop Hatteras! Just browse the website at: www.buxtonvillagebooks.com – make your selections and call 252-995-4240 to place your order with the discount. Shopping locally? Get 10% off through Christmas Eve when you mention this offer! So many vacationers have a special place in their hearts for Buxton Village Books. After all, what better time is there for reading than your beach vacation? Channel the island charm of your favorite independent bookseller and browse shop owner Gee Gee Rosell’s hand-picked selections online. Indie booksellers specialize in choosing the best books for every season. Shop Small, Shop Local, Shop Hatteras where we’re All Small! Here are a few she just loves, perfect for gift-giving or for yourself this Holiday season. Southern food and food stories are bound together. This book will reflect people, regardless of where they come form, who claim Southern food as their own, whether for a lifetime or a mealtime. People feel deep affection for their local community cookbooks, especially those well-worn volumes that serve as a timestamp of a particular place and time. No other type of recipe collection is more generous, gracious, and welcoming. Before we give you a bite, we Southern cooks have to tell you about what we’ve made. Southern food is evocative, so our food and food stories are bound together in our communities. A memorable Southern cookbook holds good food and a good read, the equivalent of a brimming recipe box plus the scribbled notes and whispered secrets that cover the tips, advice, and stories that a generous cook shares with family members, friends, and neighbors. These recipes bring all sorts of cooks, recipes, and stories to a common table to bring readers a cookbook filled with good things to eat that have something to say. Garden & Gun magazine’s aptly named Good Dog column is one of the publication’s most popular features. Now editor in chief David DiBenedetto and the editors of Garden & Gun have gathered their favorite essays as well as original pieces for this must-read collection of dog ownership, companionship, and kinship. By turns humorous, inspirational, and poignant, Good Dog offers beautifully crafted stories from such notable writers as P. J. O’Rourke, Jon Meacham, and Roy Blount, Jr. From the troublemakers who can’t be fenced in to the lifelong companions who never leave our sides, this one-of-a-kind anthology showcases man’s best friend through all of his mostendearing (and maddening) attributes. As the owner of one of the world’s most elaborate sea glass collections, Mary Beth Beuke gets to talk about these prized ocean gems on a daily basis. Unfortunately, with each passing day, sea glass becomes more and more difficult to find, making the hunt more of a challenge to the seeker–especially one with limited experience in sea glass hunting. There are several reasons why the hunt is so important to the sea glass seeker. Some find their Zen moments in the solitude and beauty of the hunt. Some collect to add color to their life. The history, mystery, and discovery of sea glass are also strong forces that draw collectors to shorelines around the world, looking for these pieces of physically and chemically weathered frosted glass. Whatever your reason for wanting to learn about and start your own collection of sea glass, the window for doing so is closing as pieces are becoming more elusive due to a growth in sea glass popularity and a decrease in recent glass bottle production. In “The Ultimate Guide to Sea Glass,” Beuke provides information that will help first-time seekers start new collections and veteran hunters learn more about their current sets. Beuke shares her experiences in gathering her own collection via photographs of vibrant and rare pieces, as well.